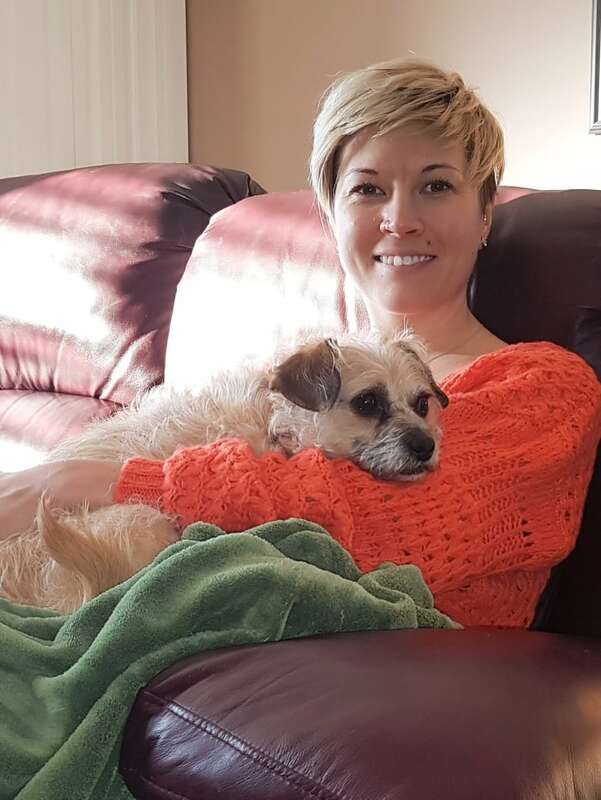 Kirsten Moore is one of a few physical therapists who treat both human and canine clients. Kirsten Moore studied to be a physiotherapist at the University of Saskatchewan, treating humans. But when she had a chance to ply her skills with dogs, she knew she wanted to do that too. 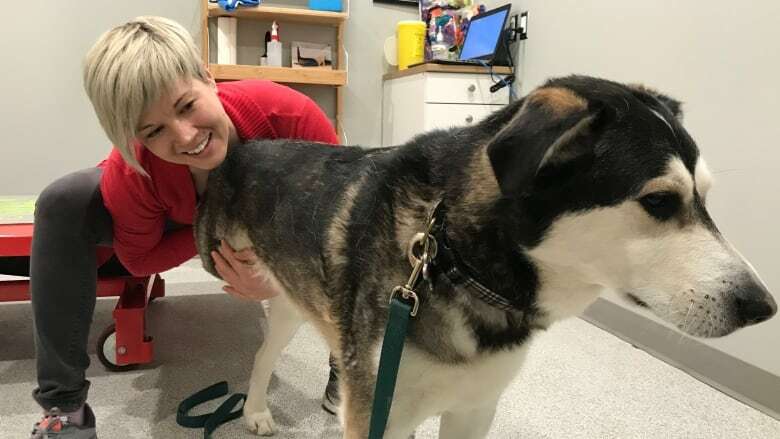 She now works in Regina, part-time with human patients, and the rest of the time with their canine companions. The Morning Edition host Stefani Langenegger met Kirsten at work to ask her how she came to serve such a diverse clientele? Kirsten Moore: Well, like most health care practitioners I really just enjoy being able to make people feel better, get back to function, and be able to do things that they were once able to do prior to their injuries. So that's always really been rewarding to me and then being able to apply that to dogs is just kind of an extra bonus. There's nothing more special, I think, than when you see a dog who's in a lot of pain and you're able to get them back to function and being able to do the things that they were once able to do and really bring joy back into their lives. Stefani Langenegger: How much overlap is there between treating a person with physical therapy and treating a dog? KM: The principles are really the same. There's some differences obviously with anatomy and how they load their bodies and use their joints but the principles are really the same in that you want to have a good joint mobility, the appropriate muscle strength and really re-educate functional movement patterns — like in their case; running, sitting, standing, walking — which are really the things that are important to people as well and treatment techniques are actually fairly similar. I do a lot of joint mobilisation stretches, exercise prescription, we use modalities, so ultrasound, laser those types of things which we would also use in people so there's a lot of crossover. SL: What are the big differences? KM: The big differences I think come down to more of the anatomy and the assessment is obviously a little bit different in that a dog can't talk back to you, or not in the way a human can, anyway, so you can't ask them some of the more direct questions. So, assessment can be a little bit more tricky in that way. Owners often can give you a lot of information but the dog can't really report back to you what they're feeling. SL: So, how do you find it, when you're working with canine patients, that you are able to do with them what you could by talking to a human patient? KM: So, they have their own ways of telling you. It's not as obvious but you look for subtle hints like wincing, whining, crying, that sort of stuff when you're assessing them and then your hands are really what tells you a lot. So what you're feeling with with your hands and what you're feeling in regards to trying a range of motion tightness stiffness, those sorts of things. 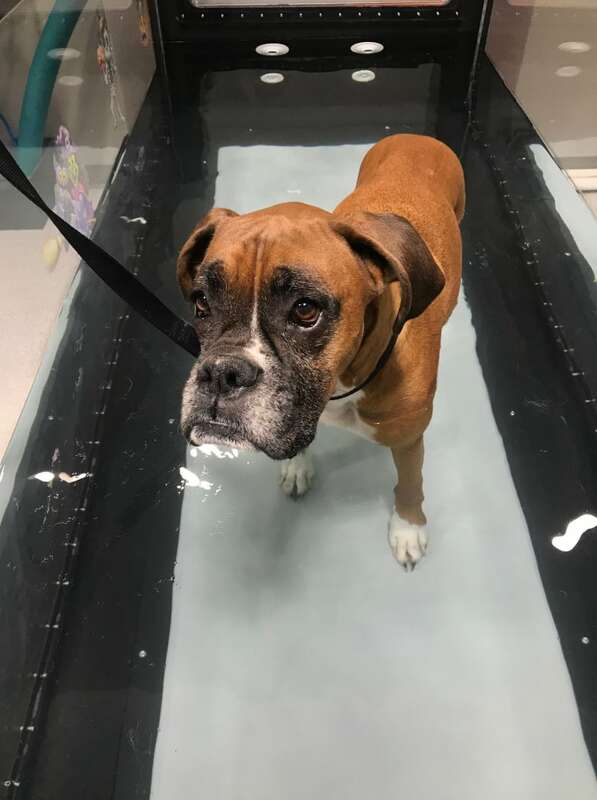 SL: What are some of the things you've seen in canine patients that you're able to help with? KM: Some of the more common conditions are probably osteoarthritis types of conditions in older dogs. Also stifle injuries, so cruciate injuries, ligament injuries in the knee; those are quite common, occasionally come across things like hip dysplasia, as well so lots of ligament strains, sprains, tears, muscle injuries, overuse injuries. SL: What results can you get with physical therapy for those injuries? KM: So, the ultimate goal always is to return to their function so it depends on what the dog was involved in before, but getting them back to sport if that's what they do, or if they just are wanting to go for walks, those sorts of things. Often you can have full recovery with rehabilitation. Sometimes there are some lingering deficits depending on what the injury was and then sometimes you have to do more of a maintenance type of approach with a client particularly if it's like degenerative condition that isn't going to completely go away but often you can you can get really good recovery with rehab. SL: How much are you finding that this seems to be a new area for people that they are interested in other options for their animals? KM: I think that's definitely been a shift that we've seen in the last five to 10 years. The Canadian Physiotherapy Association has only had the animal rehab division for 20 or 25 years so it's a fairly new field and I think it's taken a little bit of time to really pick up steam particularly in Saskatchewan as this wasn't really where it was originally developed. But, I think we've seen people really try to think about caring for their pets a lot more holistically in the last five, 10 years. SL: Are you still going back and forth between human patients and canine patients right now? KM: Yeah I am. So, I'm working part time with both. So, I'm about 75 per cent still with people and 25 per cent with dogs. SL: And what do you hope for the future — would you always want to keep the mix, or how do you like it? KM: I think I'd probably keep a mix of the two. There's different things I enjoy about both of them and I think I would miss the human contact if I went to entirely treating dogs. It's a really great balance to be able to do a little bit of both. SL: Do you have a preference? KM: Depends on the patient (laughs).